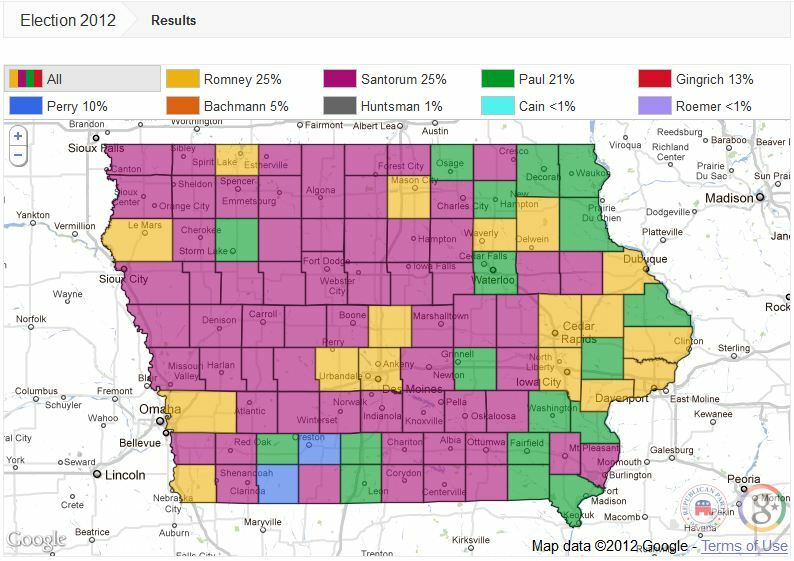 My going to bed early last night meant that I didn’t see the final Iowa results until this morning. But before turning in, I followed the results via Google, rather than listening to the blabbering of the talking heads on TV. I did watch some caucus action on CSPAN, though, which I found quite entertaining. Then I watched them call in the results to the headquarters. The woman on the other end obviously had the candidates listed in alphabetically order, which seemed to trip up the caller a bit. When the woman asked for the vote totals for Herman Cain, he looked truly confused, as no one in his caucus had voted for Cain.